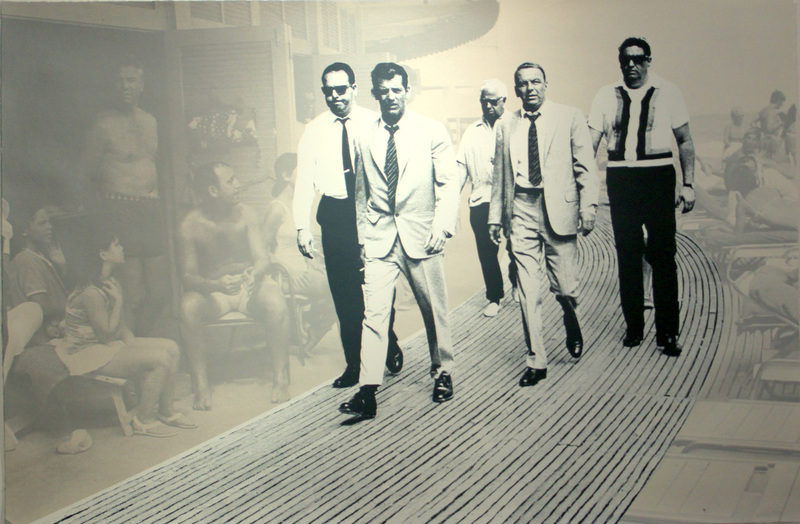 This limited edition screenprint, “Sinatra Boys Club” features Frank Sinatra on the Boardwalk at the Fountainbleu Hotel, Miami, 1968. 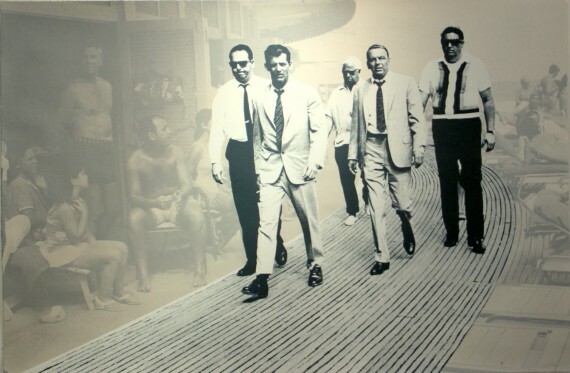 Terry O’Neill captured this shot of Sinatra with his bodyguards and his body double, dressed in the same suit, as they all walk down the boardwalk. They are arriving to the set of “Lady in Cement”, a crime film, with Sinatra starring as Tony Rome, the private investigator. Through her signature Pop Iconicism, pop artist, Keiko has transcended this classic image into the realm of the contemporary art. The original photograph, is in the permanent collection of The National Portrait Gallery in London. 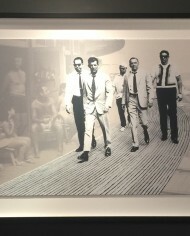 “Sinatra Boardwalk,” captures the feeling many have experienced when meeting the charismatic actor/singer. 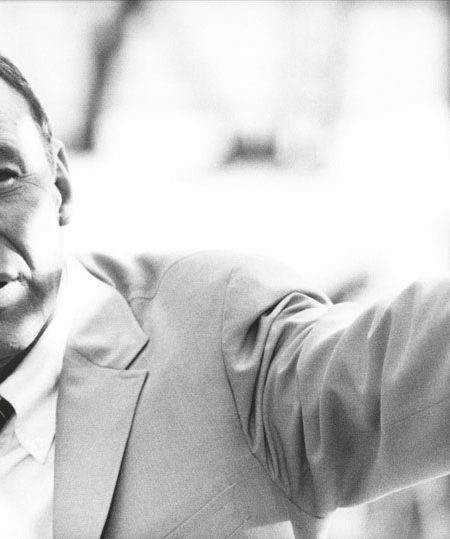 Sinatra is a giant among men, “He lit up a room,” says Terry O’Neill. 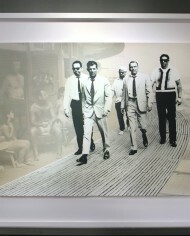 Keiko spotlights Sinatra with his posse and faded the public into the background – as you can see he “owns” the Boardwalk. 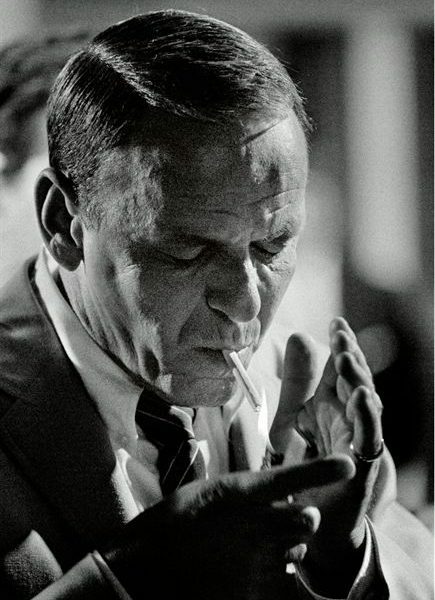 In this collaboration, with the background faded and the spotlight shining on “Sinatra with the boys,” Keiko portrays Frank Sinatra as O’Neill recalls meeting him for the first time as, “the giant of a man he was”. Hand-pulled Screenprint on Archival Cotton Rag with origina colorsl mixed by by Keiko. After 25 years of working alongside acclaimed artists in the field of music, photography and design, Keiko Noah lends a pop feminist eye on the celebrated portraits of the most influential icons of the 20th century. 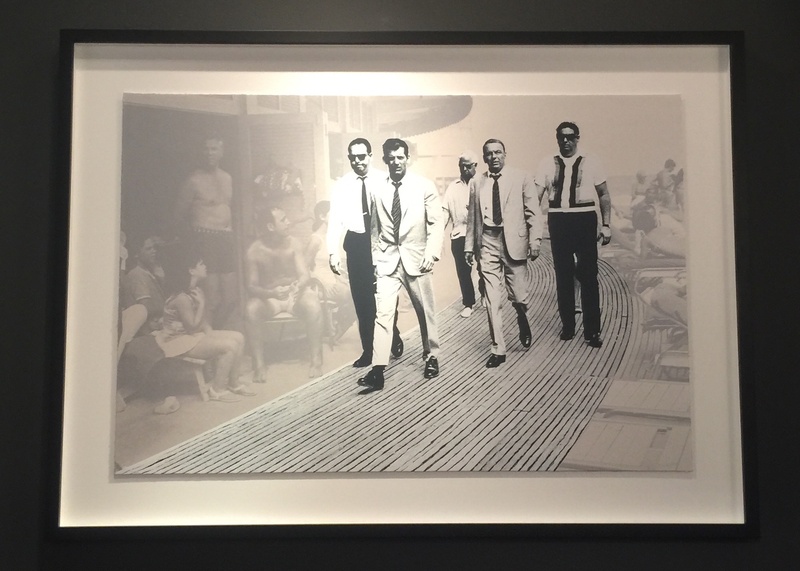 Keiko Noah, with legendary photographers such as Terry O’Neill and Alfred Eisenstaedt, reinterprets classic portraiture by diamond dusting images with contemporary modern style. These portraits, the most recognized in the world, have captivated and fascinated for more then 5 decades, bridging generation gaps and standing the test of time. 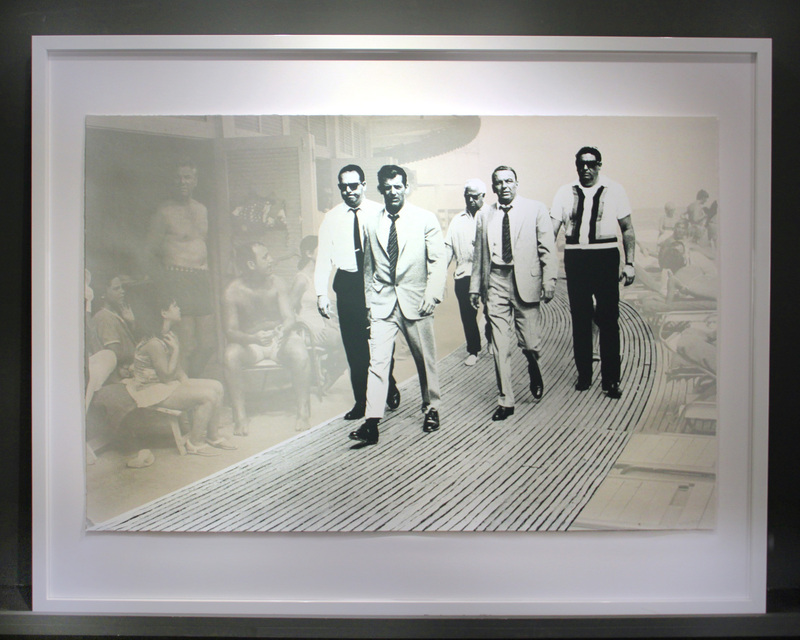 Following the steps of Warhol, Keiko silks screens portraits of powerful women such as Bridgette Bardot and Marilyn Monroe. Even in the age of the 15 seconds of Instagram fame, where any face could be catapulted into the stardom of the “most viewed” photograph, Keiko’s art shows that these icons continue to make their mark. In her deconstruction series, Keiko picks apart and reassemble pieces to question the objects of beauty and how they have changed over the years. Is there beauty in the reassembling of the pieces or in the pieces themselves?